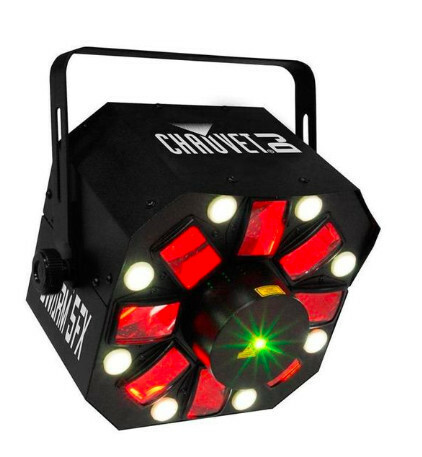 for movement and colorful effects at any event. 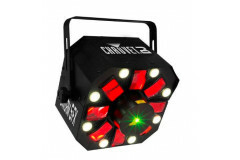 this is a 3-in-1 led effect light that combines red and green lasers, white strobe effects and rgbaw rotating derby effects into one fixture. increase control options using built-in automated and sound-activated programs or master/slave and dmx mode.